DR Horton is developing a new community close to the exciting new urban village of Market Common called The Highlands in Withers Preserve. With prices from the low $200,000s to more than $300,000, there are 16 available floor plans with 3 to 5 bedrooms and additional plans of up to 7 bedrooms possible. 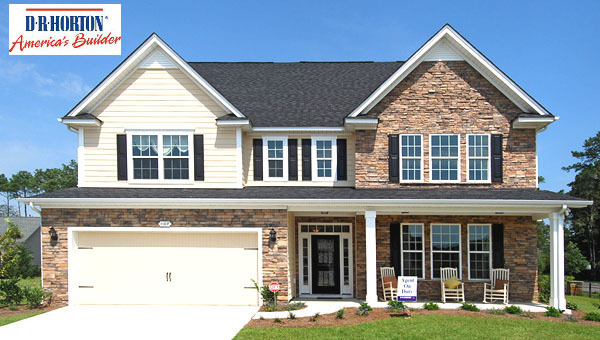 Horton offers features like hardwood and tile flooring, gourmet kitchens with work islands and stainless steel appliances, cathedral and trey ceilings, walk-in closets, his and her vanities, fireplaces, natural gas, porches and more. With such a wide variety of sizes, prices, and options, there is something to fit every budget and lifestyle. Residents share a community pool, several lakes, and wide sidewalks that wander through numerous green areas. The neighborhood is conveniently within easy walking distance of the excellent dining opportunities, upscale shopping, and great entertainment of Market Common. It is also near the 220-acre Withers Preserve Park with 40 acres of lakes, nature trails, and sports fields. Myrtle Beach International Airport is just minutes away. With 120 area golf courses, a great round of golf is never away. The beach is less than 3 miles away and easy access to business 17 means all the excitement of Myrtle Beach is just a short drive away. Call our real estate professionals for a private tour of The Highlands in Withers Preserve and visit our website for information on other great Myrtle Beach real estate.